Public gatherings are vital for movement, but too often in our approach to planting churches, we haven't paid enough attention to the difficult grassroots work of movement: discipleship, community formation, and mission. 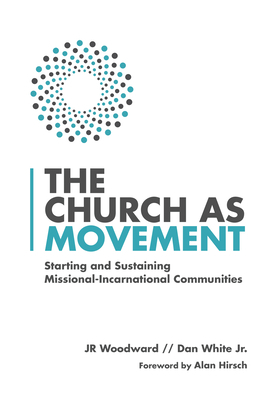 This book will help you start missional-incarnational communities in a way that reflects the viral movement of the early New Testament church. JR Woodward (author ofCreating a Missional Culture) and Dan White Jr. (author of Subterranean) have trained church planters all over North America to create movemental churches that are rooted in the neighborhood, based on eight necessary competencies: Movement IntelligencePolycentric LeadershipBeing DisciplesMaking DisciplesMissional TheologyEcclesial ArchitectureCommunity FormationIncarnational Practices The book features an interactive format with tools, exercises, and reflection questions and activities. It's ideal for church planting teams or discipleship groups to use together. It's not enough to understand why the church needs more missional and incarnational congregationsThe Church as Movement will also show you how to make disciples that make disciples. This is the engine that drives the church as movement, so that everyday Christians can be present in the world to join God's mission in the way of Jesus.